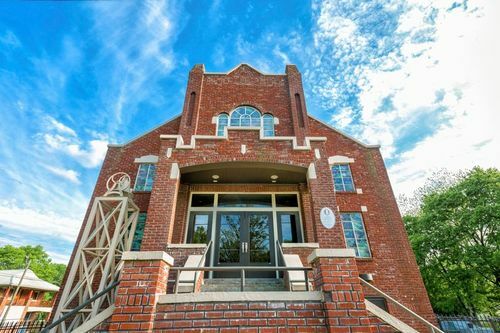 Located in the African American community of Collegeville, Bethel Baptist Church, Parsonage, and Guardhouse are associated with the first organized movement of the modern Civil Rights Movement that attacked multiple aspects of segregation. While earlier organized movements focused on bus segregation, the Alabama Christian Movement for Human Rights (ACMHR), headquartered in Bethel from 1956-1961, applied both legal and nonviolent direct action against segregated accommodations, transportation, schools and employment discrimination. Under the leadership of the Rev. Fred Shuttlesworth, this method would serve as a model for later movements, including the 1963 Birmingham demonstrations that led to the Civil Rights act of 1964. The church and its parsonage played a crucial role in the 1961 Freedom Ride that traveled from Washington, DC to Mississippi, and resulted in federal enforcement of U.S. Supreme Court and Interstate Commerce Commission rulings to desegregate public transportation. As the bus ride's designated point of contact in Alabama, the church and parsonage were places of refuge for wounded and stranded riders rescued by ACMHR members, and where Shuttlesworth coordinated with the Student Nonviolent Coordinating Committee (SNCC) and the Kennedy administration to continue the ride on to Montgomery. Bethel Baptist Church was declared a National Historic Landmark in 2005. Call 205-324-8489 or 205-322-9857 for more information.